The bourbon industry has experienced huge growth over the past decade. No longer is this category relegated to the bottom shelf. There are a myriad of producers and recipes to choose from with a wide range of ages and prices. But how is it made? There are a lot of misconceptions out there, so we’d like to go over a few basic (and not so basic) facts about this whiskey category. Whether you are just getting into bourbon or are a seasoned drinker, we can all use a refresher on the subject. All bourbons are whiskeys, but not all whiskeys are bourbon. The whiskey tree includes types such as Scotch single malt, rye, Canadian, Irish single pot still, and many others. Bourbon is just one of the branches. 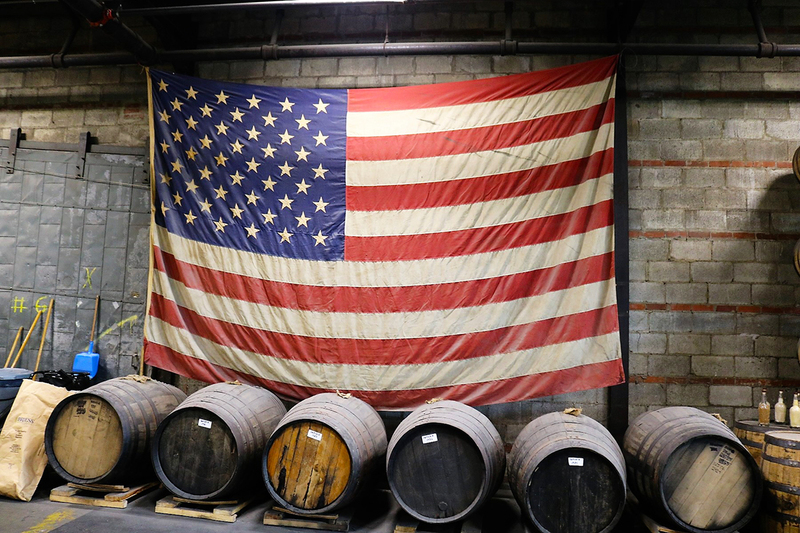 Bourbon can only be made in the United States. And, despite what you may believe, it can be made in any of the 50 states in the union. Currently, you can find a bourbon made in a majority of the states. The mash bill refers to the grain makeup in a whiskey. Corn must comprise at least 51% of the mash bill for bourbon. You can actually use 100% corn to make a bourbon. Example: Hudson Baby Bourbon. The other grains in the mash are referred to as “flavoring grains”. Wheat or rye are typically used—usually not both, though it isn’t unheard of (see Four Grain Bourbons). And a small portion, typically 5%, is made up of malted barley. Not to get too technical, malted barley aids in the fermentation process. Using 70-80% corn, plus wheat or rye and some barley. Include pretty much every other bourbon. Here are a few you may have heard. Bourbon is most often first distilled in a column-still and then distilled in a doubler or thumper, essentially an attached continuous pot-still. Traditional pot stills can be, and are used. Woodford Reserve uses a pot still for part of its makeup. Bourbon must be aged, but there is no requirement for how long (or little) it has to age in barrels. Two exceptions to this. One, if it is a STRAIGHT bourbon it must be aged for at least TWO YEARS. Second, if it is BOTTLED-IN-BOND, it must be aged for at least four years. It must also be distilled at one distillery, in one season, and be bottled at 50% ABV. It must also be aged in NEW, CHARRED oak containers. There isn’t a specification on using AMERICAN OAK, but it is almost always used. Also, size of the barrel isn’t dictated. Traditional bourbon barrels are 53-gallons (200L). Though the method and type of still isn’t dictated, bourbon cannot be distilled over 80% alcohol-by-volume (ABV). For some types of whiskey, you are allowed to distill up to 95% ABV. Not bourbon. The higher proof you distill at, the less flavor you retain. Additionally, bourbon cannot go into a barrel at above 62.5% ABV. It should be noted that, depending on where and how long a bourbon ages, the proof once IN the barrel can exceed that. See any George T. Stagg or Booker’s Bourbon. All regularly over 125 proof at bottling. It must be bottled at 40% ABV or higher. Notably, in terms of production, Tennessee Whiskey is made exactly like bourbon with one notable exception. It is filtered through maple charcoal PRIOR to barreling. This process is known as the Lincoln County Process. Jack Daniel’s and George Dickel simply prefer to label their whiskeys as Tennessee Whiskey instead of bourbon whiskey. But they could. And there would certainly be an uproar if they did. Now, time to find your next favorite bourbon!